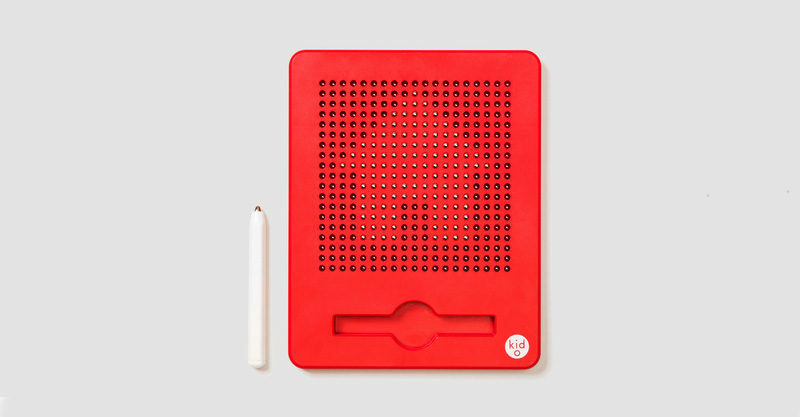 Move over Etch-a-Sketch and Magna Doodle, Magnatab is here to play! An awesome toy for when on-the go, the Free Play Magnatab from Kid O is both challenging and fun for preschoolers. Using the included magnetic stylus, beads pop to the surface of the bead board to create patterns and drawings. To start again or erase a mistake, simply push the beads back with your finger. Too easy! No chargers required and no pens or paper to chase, you’ll find the Free Play Magnatab at Urban Baby, priced $34.95.